Anastasia Asaben (Rus Анастасия Асабен), Oxana Marchuk (Rus Оксана Марчук), Alexandra Lampika (Rus Александра Лампика), Svetlana Ivanova (Rus Светлана Иванова) as four Cygnets in Swan Lake II act. 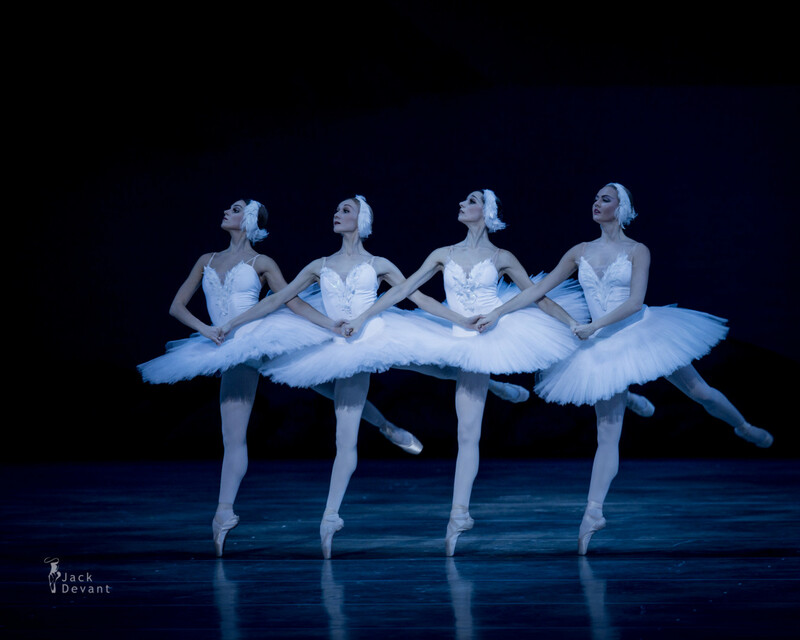 Swan Lake, music by Pyotr Tchaikovsky, choreography by Marius Petipa and Lev Ivanov, revised by Konstantin Sergeyev. Set designer Igor Ivanov, costumes by Galina Solovyova. Shot on 4.11.2015 in Mariinsky Theatre New Scene. Photos by Jack Devant ballet photography © with kind permission of the Mariinsky Theatre, special thanks to Natalia Kozhevnikova and Ekaterina Ordovskaya.